When your motor’s humming, you get time and flexibility back in your day. Turn website visitors into real, bonafide prospects for your business with easy-to-use lead generation forms. 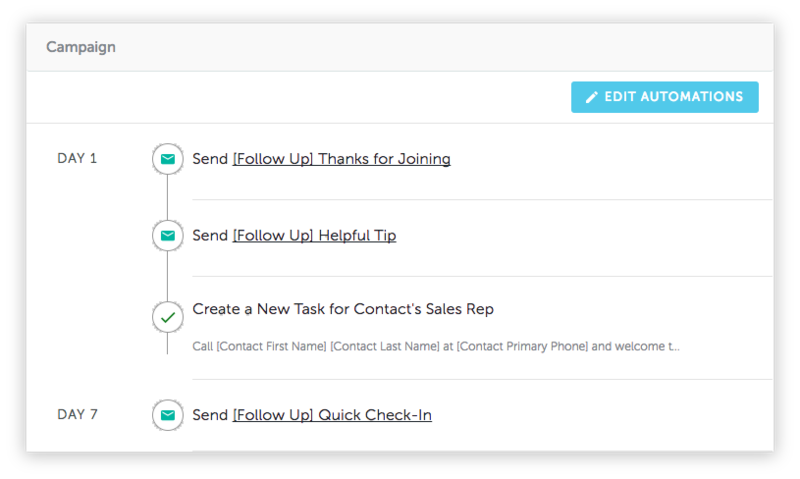 Use handy form actions to segment leads into the right bucket and send an autoresponder to say hello. Now that you’ve been introduced, you can start paving the way to conversion. Stay in their hearts – and in their inbox – with automated drip campaigns. Send your leads targeted, timely emails over time to add value and shorten their path to conversion. Hounding cold leads that aren’t ready to buy is frustrating – and time consuming. 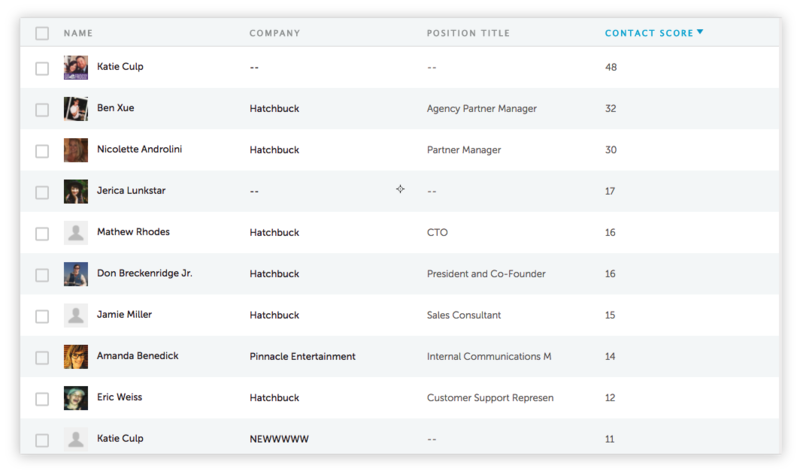 Instead, Hatchbuck alerts you when hot prospects exhibit buying behavior, like reaching a tag score, clicking a specific link, or visiting a conversion page on your website. Reporting shows you which channels are generating the most leads and customers. Make intelligent adjustments to spend and scale revenue – not resources.